Here’s a talk with Keisuke Matsumoto, a Buddhist priest and a 2011 graduate from the Indian Business School (ISB). Thank you Keisuke for sharing your thoughts and experiences with us! 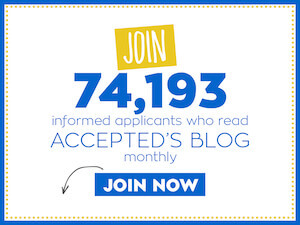 This interview is the latest in an Accepted.com blog series featuring interviews with current and past MBA students, offering readers a behind-the-scenes look at top MBA programs. We hope to offer you a candid picture of student life, and what you should consider as you prepare your MBA application. Keisuke: I am Keisuke Matsumoto, a Buddhist priest in a traditional Buddhist school of Jodo-Shinshu Hongwanji-ha. In 1979, I was born in Hokkaido, the northern most part of Japan. My grandfather was a Buddhist priest, though my father is not. Since my youth, I have been strongly interested in Philosophy and Religion as the ways to realize myself. At Tokyo University, I majored in Western Philosophy, which I had been interested in since my youth. But I grew uncomfortable in my studies, because no matter how logical or reasonable it was, studying it did not seem to be the way to true happiness. Instead, I came to realize how much my experience had been shaped by the traditional Japanese way of thinking, and I knew that without understanding that, I would not be able to understand myself. Finally, I decided to become a Buddhist priest which I thought was the best way to completely immerse myself in Japanese philosophical tradition. I graduated the University of Tokyo in April, 2003. Since becoming a priest I have continued my studies of Japanese philosophy and culture. Accepted: Why did you decide to attend the Indian School of Business? Keisuke: Despite the hereditary custom, I knocked at the gate of the temple and managed to pass its professional training. I have worked as a monk to restore valuable traditions of Japanese culture in society. Even now, there are more than 70,000 temples in Japan, which is about three times the number of convenience stores in the country. In the midst of changes of society on a global scale, we Japanese should take advantage of potential resources like temples that our ancestors left for us. After working in this field for 9 years, I decided to tackle an important but complex issue – modern temple management. That’s why I got MBA, a Master of Business Administration, at ISB last year. Indian School of Business is one of top business schools in the world. Though the name of the school contains the word “Business,” its concern is not limited to business. Actually, management matters everything. Of course as a Buddhist priest, being an MBA graduate doesn’t make any difference to my position or rank in the temple. But it practically makes a difference to the quality of my work. Buddhism is my life. I respect the tradition of Japanese Buddhism. But at the same time I am not satisfied with its current situation. To promote Buddhism among modern people, we have to update temples to meet modern needs without spoiling their religious traditions. As a Buddhist, India is special. In fact, many people tell me that great experiences in India have changed their life. Then I thought, studying for an MBA in India will have a great impact on my life. That’s why I applied to ISB. Accepted: What have you been doing since graduating last year? Keisuke: I have been preparing for opening a new school of temple management for a year. It’s a comprehensive program for Buddhist monks who want to acquire management skills for temples. Of course, it’s not about how to make money in temples but about how to focus on the temple’s original mission. I will open this school this month. The first class will be held on 23rd May in Kyoto. If you seriously study management in any business school, you will come to know that the basics of management are all the same in any field whether it’s a business or non-profit. Mission, Strategy and Marketing are the essentials of good temple management. Accepted: There’s a great Financial Times article about you in which you compare temples to social media. Can you talk a bit more about that? Keisuke: The use of social media like FB or Twitter is globally spreading. But why? In my observation of Japan, many people feel lonely. So they are trying to join communities according to their hobbies and tastes. In Japan, temple used to be the place to form a local community, though it is not working well. I guess the new communities created on FB will seek a nice place to have a gathering and real communication. In my opinion, temples have potential to accommodate those gatherings and be the center of local communities again. That’s why I mentioned temple as real social media in Japan. Accepted: Can you share your experience as a delegate for the U.S.-Japan Leadership Program? Keisuke: The U.S.-Japan Leadership Program is held by the U.S.-Japan foundation. In both countries, 10 to 20 delegates are selected among young leaders in diverse fields and join the program every year. In the program we discuss many topics from politics and economics to culture and religion for a week. It is an amazing experience to spend a whole week with diverse young leaders and establish friendships. Accepted: What were some of your favorite things about living in Hyderabad? Least favorite? Did you have a favorite coffee shop that you liked to hang out it and do work? Keisuke: In Hyderabad, I loved to visit the Old-City district. It was a fantastic Muslim city. I am interested in any kinds of religious culture and buildings. I often visited there and had a cup of Chai (Indian Masala tea) with my family, though I didn’t do work there. Accepted: Do you have any advice for some of our applicants who will be applying to the ISB? Keisuke: If you are applying to business schools just because others are doing the same, ISB is not your destination. If you really want to differentiate yourself and change your life, I strongly recommend you ISB. Especially for international applicants who seek great challenges which lead you to grow further; the combination of MBA and India must be one of the best options. There is no reason for innovators to choose the destination ordinary people are rushing into. Visit the campus, and you will understand what I said.